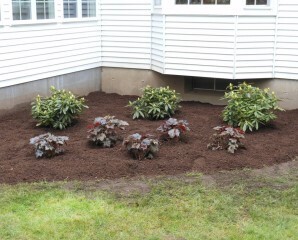 It’s important to clean your landscaped beds before plants and perennials begin to grow. Winter leaf debris can smother newly sprouting plants. A light raking or blowing can remove debris without doing harm. Spring is also a good time to put a new layer of mulch down to help control weeds and maintain moisture for your plants.